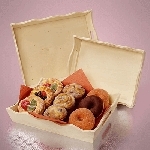 Large Curved Wooden Top Slot Tray Set w/Handles make a wonderful addition to your special occasion. Especially if you are trying to achieve a more natural, woodsy, rugged appeal. 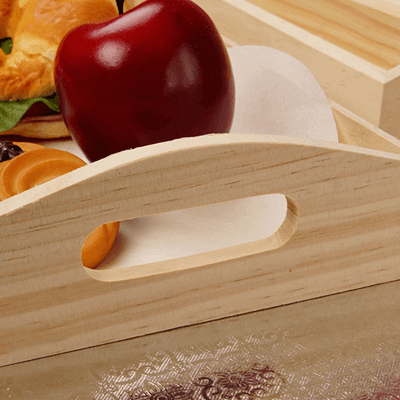 Slotted handles on the side make it a lot easier for carrying and handling these trays. Use this large 3 piece tray set for a variety of things like holding utensils for dinner, creating a centerpiece with candles and greenery with the tray being the base or even for holding condiments for a backyard bbq. 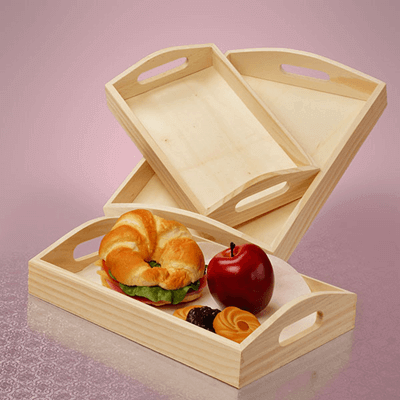 These trays set one within another for easy storage when not in use. So add some natural appeal to any occasion. 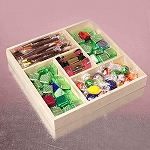 Purchase your unfinished tray set today at All Candy Containers. 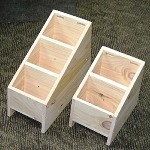 6 count - (S) 11 15/16" x 8 1/16" x 2"
6 count - (M) 13 1/8" x 9 ¼" x 2"
6 count - (L) 14 ¼" x 10 ½" x 2"